Superdry men’s Rookie Down Parka jacket. Keep the cold out this season in the Rookie Down Parka, filled with an 80/20 premium duck down filling and a medium fill power rating it's an essential item for your jacket collection. 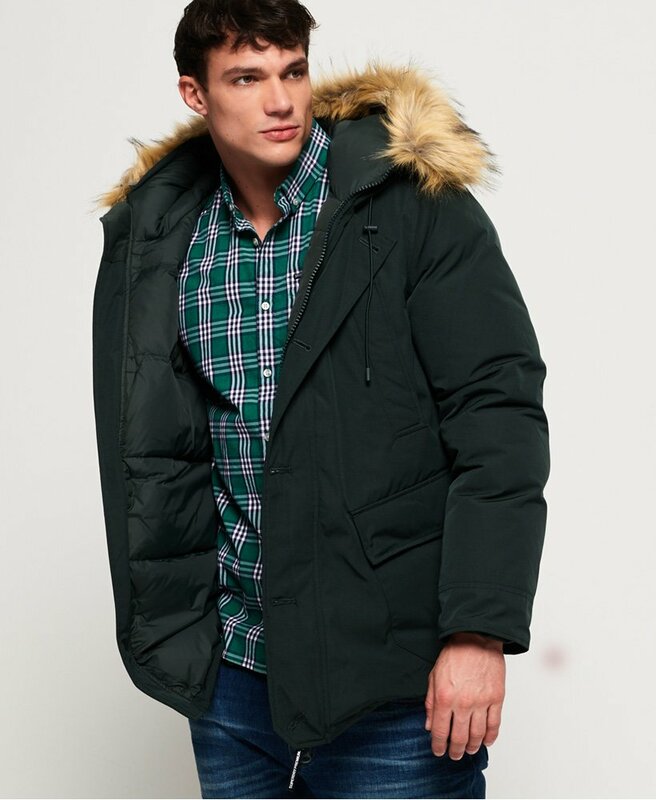 The jacket features a bungee cord adjustable hood, with detachable faux fur trim, zip and button fastening, four front pockets and one inside pocket. The Rookie Down Parka is completed with a Superdry logo badge on one sleeve and will make the perfect winter warmer this season.